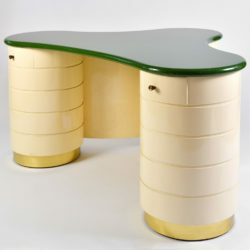 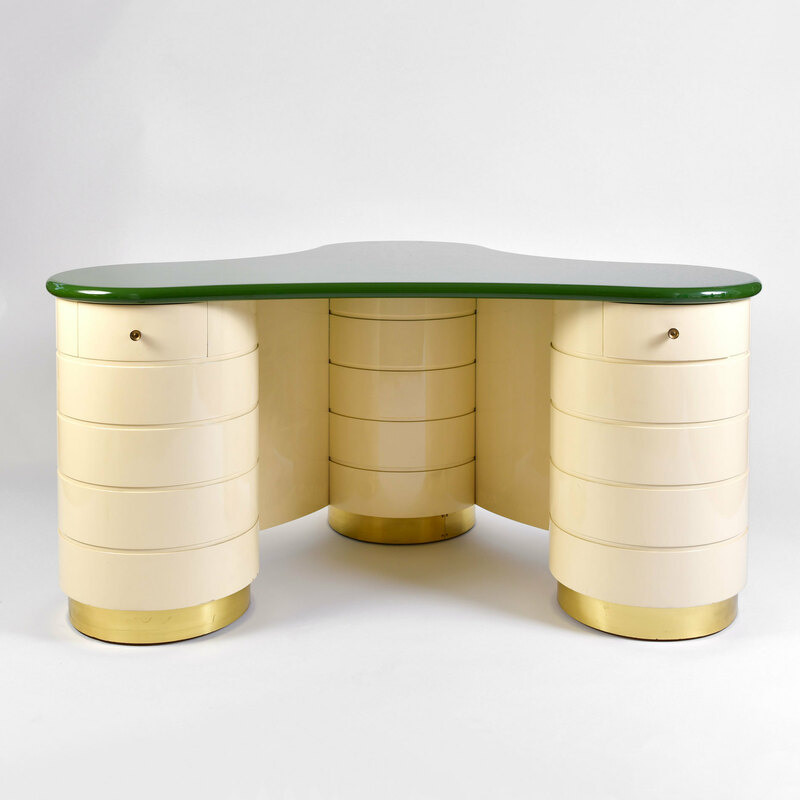 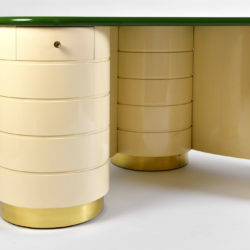 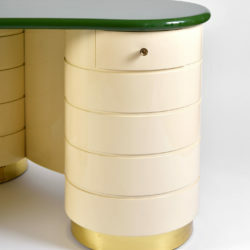 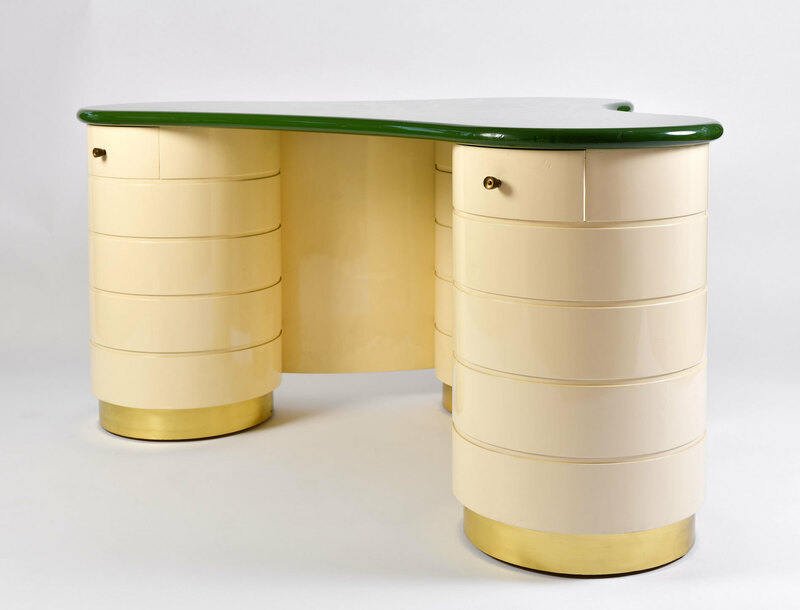 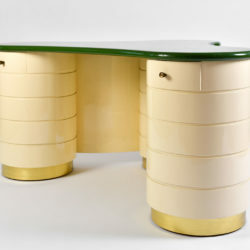 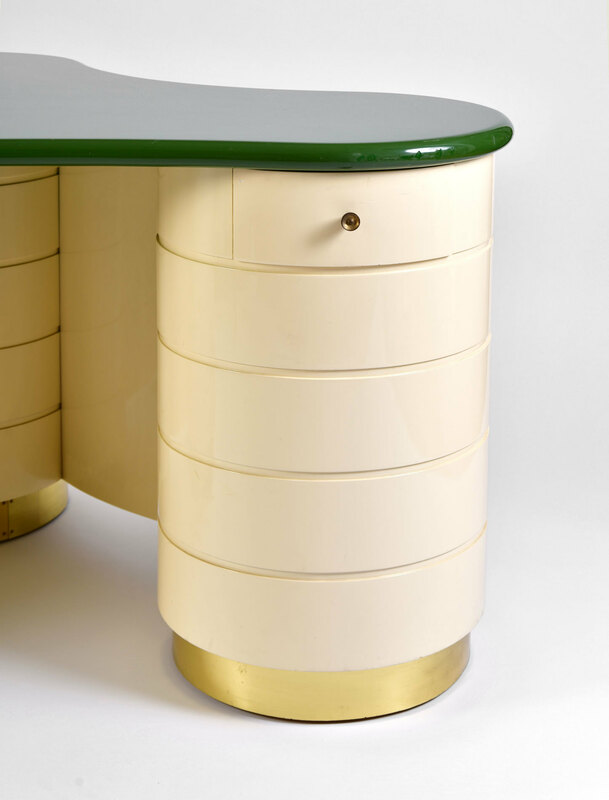 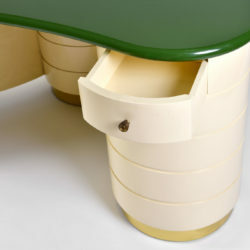 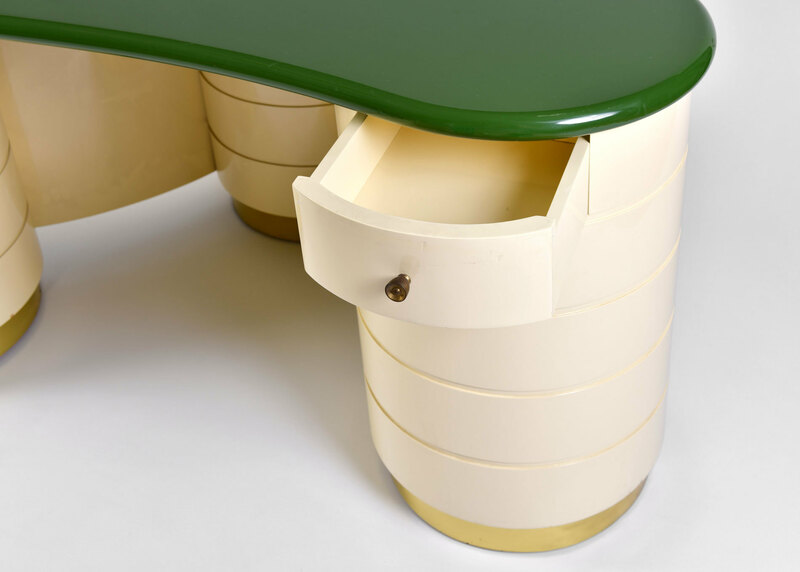 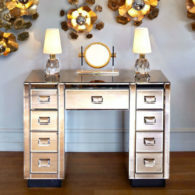 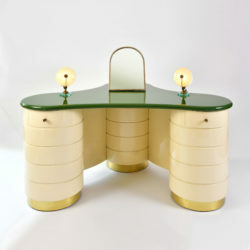 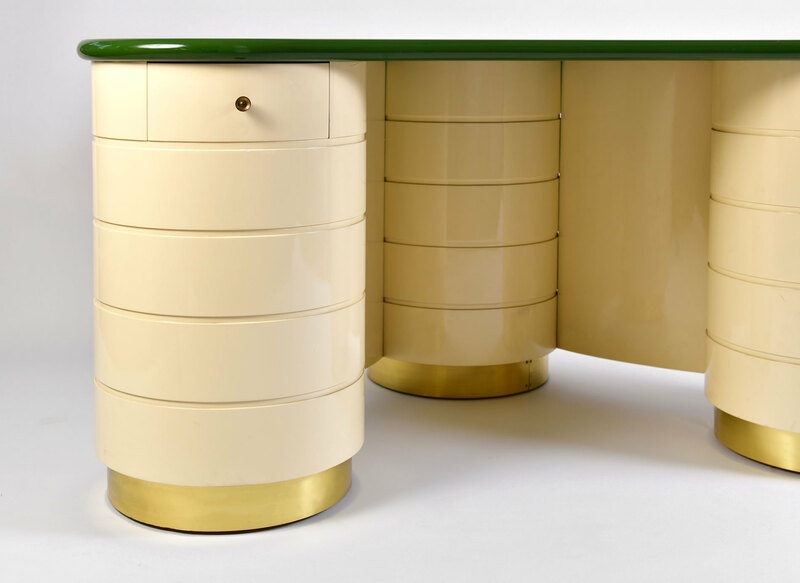 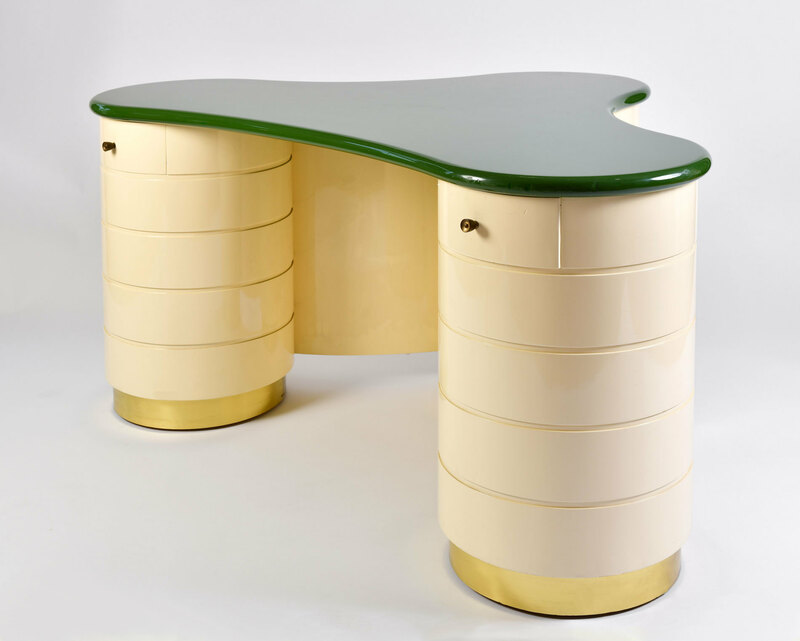 Ultra glamorous dressing-table/desk in a surrealist deco style. 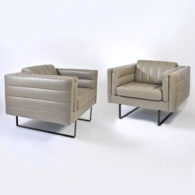 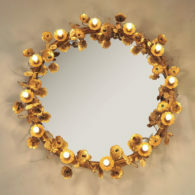 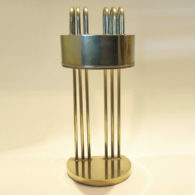 Three large cream lacquered circular pillars each with their own drawer stand on brass supports. 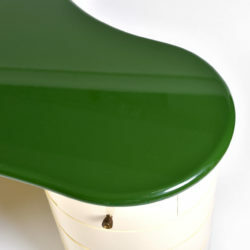 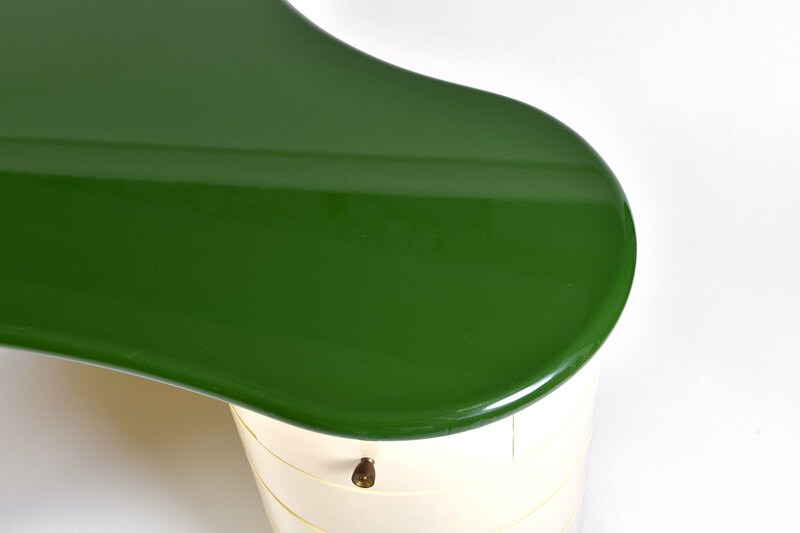 In contrast a generous lacquered green top completes the dramatic effect.